Monday has arrived, South Florida – and NBC 6 has the top six stories you need to know for November 12th. Weather wise, a passing morning shower will give way to yet another humid afternoon with high temps in the mid-80s. Part of the Golden State are burning as you've probably seen on social media all the celebrities whose homes have burn down. We are following the latest from there, including how you can help those who have lost everything. As you know, we are in the middle of an election recount right now in the races for Senator, Governor, and state Agriculture Commissioner. Over the weekend, dozens of Democrats and Republicans alike protested for a fair, transparent and legal recount of more than 700,000 votes. “Never forget” - that was a poignant message and moment from newly elected Dan Crenshaw. 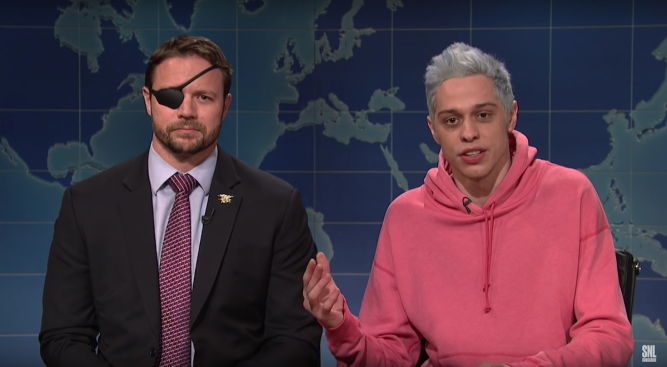 The former lieutenant commander turned the tables on comedian Pete Davidson after a joke about Crenshaw that fell flat and was widely criticized last weekend. Today kicks off a week's worth of appearances from well-known authors and figures at Miami-Dade College’s downtown campus, including John Grisham and Supreme Court justice Sonia Sotomayor.